NASA’s MDSCC’s antennae are not only used to contact distant space probes. Radioastronomy investigations also fit in the crowded timetable of these huge instruments. Recently, we have updated the software needed to use one of these telecommunications devices as a radiotelescope. MDSCC (Madrid Deep Space Communications Complex) is one of the three ground stations that constitute to NASA’s Deep Space Network (DSN), which is in charge of the communication with NASA’s spacecraft in space. Each station is 120 degrees apart on Earth so that at any time, any satellite in deep space is able to communicate with at least one ground station. The stations are operated 24 hours a day, seven days a week, 365 days per year, so no information is ever lost. To communicate with satellites the stations rely on several antennas, some of them, like DSS-63, with up to 70 meters in diameter. 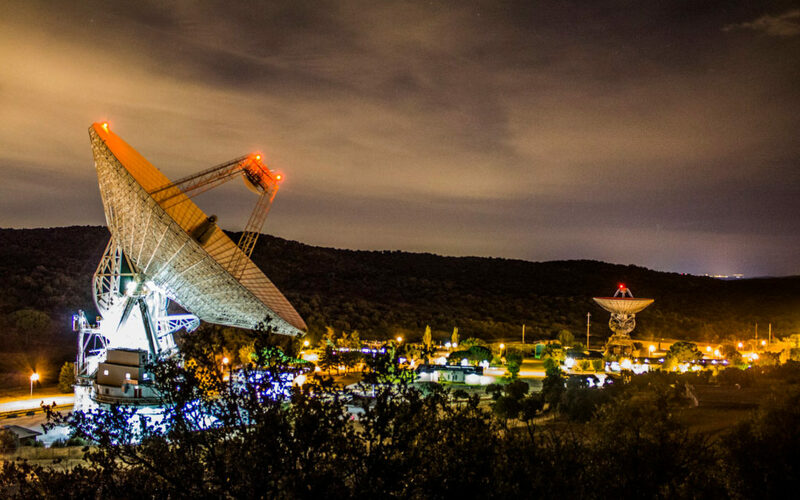 Of course, MDSCC’s main role is to contribute to NASA’s DSN, but a secondary field of activity in the complex is the research in radioastronomy, as each antenna can also be used as a radiotelescope, able to capture and record the energy radiated by many objects in space. MDSCC was built in 1964, its first antenna started working the following year and the complex has been growing ever since. Some legendary missions such as the Voyagers communicated with MDSCC. Even if its owned by NASA, the complex was first operated by INTA, then by INSA, and since 2012 is being operated by Isdefe. However, the centre being operated by Spanish companies is not the only benefit resulting from the agreement between the USA and Spain to host MDSCC in Robledo de Chavela. 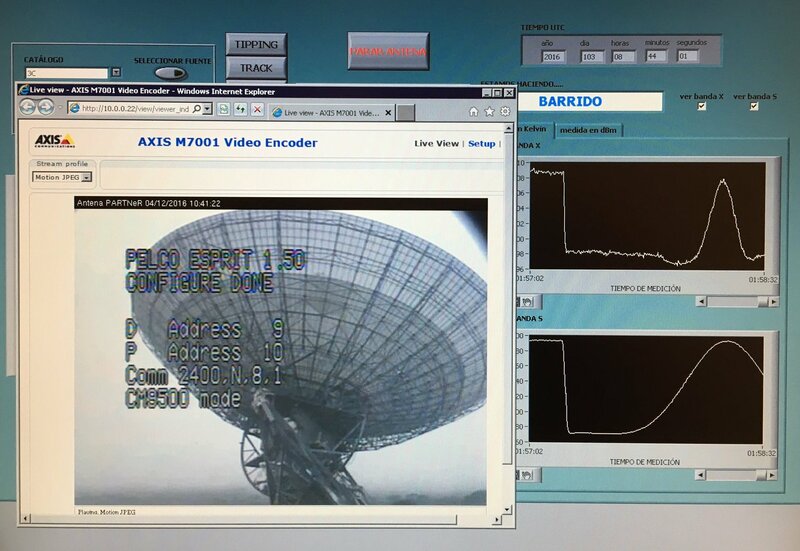 Namely, the Host Country Program managed by the CAB (Astrobiology Centre) associated to the NASA Astrobiology Institute offers to Spanish astronomers the opportunity to observe with MDSCC’s antennas during 3% of the total available time. Mainly K-band and Q-band spectroscopy observations are performed for this project although K, Q, X, S, and L -bands spectroscopy and continuum observations are possible with the DSS-63, DSS-54 and DSS-55 antennas, which are the three antennas currently being used in the Host Country Program. Despite not having much observation time, important discoveries have been made by Spanish physicists with these antennas. Maby the most known and important one is the first ever detection of a water maser emission from a planetary nebula. This was done using spectroscopy observations data from the 70m antenna DSS-63. And precisely, this is the antenna whose software we have just updated. Communications with distant satellites and radioastronomy observations may be done using the same devices, but the similarity ends up there. Everything else, from data gathering to its analysis changes completely, and of course, so does the needed software. For satellite tracking, access to a database with the satellite’s position and speed over time is required, while for radioastronomy, star-maps and astronomical catalogues are needed. And while for satellite tracking only one observation method is possible (following the satellite), in radio astronomy, many strategies are available. You may set the antenna still and let the object pass by the field of view, you can set the antenna to follow the object as the night sky moves, and if the object is big enough you can zig-zag it and get a 2D image. It should be clear that the movement of the antenna is different for each activity, and therefore, the software must also be. We have just presented our program to control the DSS-63 antenna when it is used for radioastronomy purposes. The new software, which has a renewed interface and a structure that matches the standards of the XXI century, will pursue the Host Country Program, making new and perhaps even more important discoveries possible in the near future.